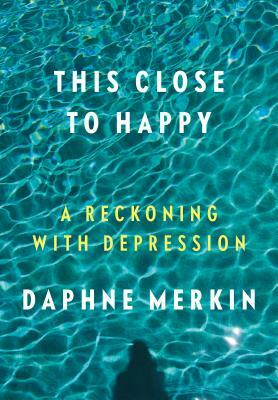 “Despair is always described as dull,” writes Daphne Merkin, “when the truth is that despair has a light all its own, a lunar glow, the color of mottled silver.” This Close to Happy—Merkin’s rare, vividly personal account of what it feels like to suffer from clinical depression—captures this strange light. DAPHANE MERKIN's writing frequently appears in The New York Times, Bookforum, Departures, Travel + Leisure, W, Vogue, Tablet Magazine, and other publications. She is a former staff writer for The New Yorker and The New York Times and a regular contributor to ELLE. Merkin has taught writing at the 92nd Street Y, Marymount College, and Hunter College. Her previous books include Enchantment, which won the Edward Lewis Wallant Award for best novel on a Jewish theme, and two collections of essays, Dreaming of Hitler and The Fame Lunches, which was a New York Times Notable Book of the Year. She lives in New York City. “This beautifully written tale of Daphne Merkin’s depressive demons is by far the most accurate and human account of depression and its impact that I have ever read. I highly recommend it, both to those in the mental health professions and to those who care about the suffering of their loved ones.” —Glen O. Gabbard, M.D.